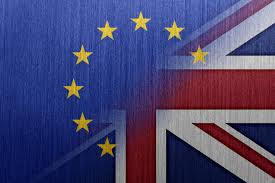 As realisation dawns that a week on Friday, the UK could wake up and find it has voted to leave the European Union (EU) after over 40 years of membership, panic appears to be setting in. The FTSE 100 has tumbled today with £20 billion wiped of the value of shares as the realisation sinks in on financial market traders that Brexit is looking more and more likely to become a reality. Turbulent times are ahead for the economy if the British people do indeed call time on our membership of the EU, at least in the short term. But it is not only in the field of economics that we will experience a crisis after a Brexit vote, but politically and constitutionally too, and this promises to be more long term than the economic fall-out. If the opinion polls are right, and there has to be some doubt about this after last year’s general election polling got it so hopelessly wrong, there is a divide in the country between the different nations and regions. Scotland appears to be overwhelmingly in favour of remaining in the EU, and if indeed the Scots do vote that way in the referendum, and the English vote to leave and tip the UK balance for out, the whole question of Scottish independence will reappear just two years after the issue seemed to have been resolved for a generation. Alex Salmon, the SNP MP and former leader states in The Telegraph it is a certainty that the Scots will demand another independence referendum, and it will be before the scheduled general election of 2020. I think, in these circumstances the result will be for independence (within the EU), and over 300 years of political union between England and Scotland will be abandoned. But it doesn’t just end there. Northern Ireland is another interesting case in point. The Northern Irish are overwhelming in favour of staying in the EU too, with the voters split between nationalists who predominantly want to stay and unionists who predominantly want to leave. Overall, roughly two thirds want to remain in the EU. Could Northern Ireland also want to leave the UK? Northern Ireland is complicated of course, but the nationalists may spy an opportunity for a united Ireland (with the Republic of Ireland and again within the EU). If they do stay in the UK then there obviously will be an issue with the border with the Republic being in the EU and the North not in the EU, as well as the cultural ties that exist between the two peoples, at least on the nationalist side. Northern Ireland gets a huge amount of money from the EU as well, and Irish unity could be worth 36 billion euros for the island of Ireland overall. It is quite possible, I think that Northern Ireland will leave the UK in the near future, after a Brexit vote. Wales seems to be quite heavily in favour of leaving the EU, and elected 7 Welsh Assembly members in May, so it is unlikely the Welsh will be unhappy about a UK vote to leave, but even then it will cause tension between the north and west of Wales and the south and east of the country. Finally, what will the English make of Brexit? Again different areas have differing views on the benefits of EU membership, and so if overall the English and UK total is for leaving, reaction will likely vary between different parts of the country. London is the most EU positive region of England, with something like 60% of voters wanting to remain in the EU. The capital is culturally different from the rest of England (and the UK) and thrives on immigration and generally does well out EU membership. London is outward looking to the world and would not want to effectively cut itself off from Europe. Could London also seek to leave the UK post Brexit? It is certainly a possibility I think. London’s population and economy is far bigger than Scotland, let alone Ireland, and so if it is good enough for the Scots and Irish then why not London too? This would cause some problems with having a border between London and the rest of England, but I would assume that London will not be building any walls around the perimeter of the London Boroughs. Free movement between England and London will be to London’s advantage, so an open border will be desirable, to London anyway. It could be, that England will want to build a wall in Hertfordshire and Essex to keep Londoners out, but that will be their business, not ours. Let them have their little England, London can look after itself, and could well do much better without having to subsidise the rest of England. The possibility of breaking up the UK is a very good reason for socialists to vote Leave! You could well look at it like that Simon, but it will cause a huge amount of problems. I'm just trying to make the best of a what is looking like bad situation occurring. Of course, I was reminded in discussing the action with comrades on the day of action, that what SUWN had actually called for was a Britain-wide protest. 3. Redesign the ballot paper to call for a referendum on different terms that would include citizens of other EU nations resident in London. The non-UK citizens in Kilburn Unemployed Workers Group, I believe are largely in favour of Remain, and I personally consider their presence a factor that enriches our community. And even when approached by 'opinion poll' canvassers over the telephone, I am too suspicious regarding talking to strangers that I politely tell the canvasser I am not interested in helping them, or am otherwise occupied.